31 days of Printmaking Unleashed started July 1 and it's been so amazing to see all the creative interpretations of the prompts. I'd like to share with you some of the inspirational posts from artists all over the world who are playing along. Also, I've had a few questions about how to play so I thought I'd explain a little more here on the blog. My photo posts day 1 to 7: photo above shows the original prompt list and my posts from days 1 to 3. The photo below shows my posts from days 4 to 7. To read descriptions of photos/techniques I've posted, head on over to my Instagram feed @treicdesigns. Where can I find more info on the creative prompts? I wrote an in-depth post on 31 days of Printmaking Unleashed which explains what it is and how to play along. Basically you post one photo a day in response to the 31 prompts during the month of July to help celebrate the launch of the book. 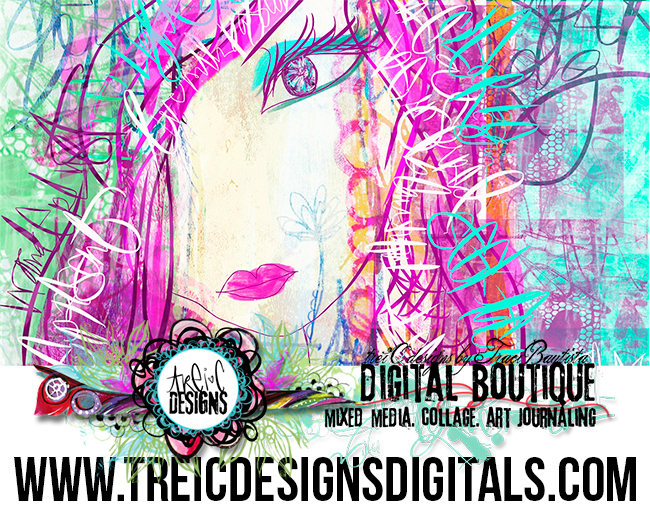 You can follow along to see all the prompts on my IG @treicdesigns feed or my Facebook business page. How do I post a photo to play along with the challenge? 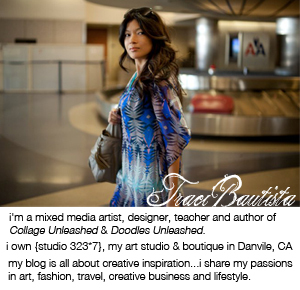 You can post a photo on Instagram, Facebook, Google+ or Twitter and use the hashtag #printmakingunleashed. How do I post a photo in response to a prompt on Facebook? You can post the photo on your Facebook timeline and tag my FB business page. Or you can post your photo in a reply comment on my posted 31 day photos. Do I have to post a photo everyday? No, post one photo or play along the entire challenge. The more you post, the more chances you have to win a signed copy of Printmaking Unleashed. I will choose winners at random during the month. Can I post more than one photo a day? YES..but you don't have to. How else can I use the prompts? Even if you are not playing in the photo challenge. You can use thes creative prompts to inspire your daily art journaling or sketching practice. Create a page or tool based on the prompt or choose the prompts that are most interesting to you and CREATE! Do I need the book to participate in the challenge? Nope...you can play without reading the book. But if you want to learn more about how I create some of the art in the challenge photos, then I highly recommend it! Don't forget you have a chance to win a signed copy if you play along. Look at all these wonderful photos...so much inspiration. To see the entire 31 days of Printmaking Unleashed feed search #printmakingunleashed on Instagram. Thanks to everyone who has been creating and joining in the creative challenge. It's been so AWESOME to see what you are making...so colorful, vibrant and lots of juicy layers! Keep sharing your amazing artwork :) and if you haven't started yet...join in the party! p.s. 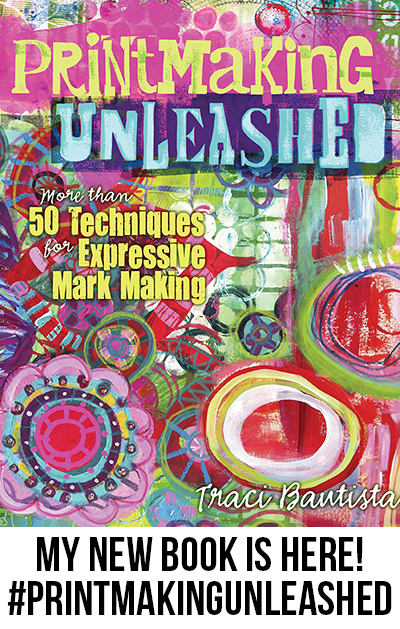 join me for my new mixed media e-course series---> Printmaking Unleashed LIVE! special coupon code ends 7/8/14 and early bird registration ends 7/16/14. For more details + watch a video preview visit e-course info. is available for pre-order on Amazon!